Search Engine Optimization: SEO Marketing encompasses all the ways a website marketing service helps achieve ever-higher rankings in targeted search engine results. When we say search engine, we primarily mean Google, since it accounts for almost 70 percent of all online searches. Of lesser importance are its competitors Bing and Yahoo. The Holy Grail of SEO Marketing is to land your website, or even an individual page, on Google’s first results page for a keyword you want to rank for. Ad Spend Optimization: The next area of concern, and one that too many web marketers lose sight of, is the necessity of analyzing and optimizing money spent on any particular ad campaign. Through the use of web analytics, it’s a relatively simple task to figure out which ads and strategies are working, almost in real time. Once a high or low performer reveals itself, it is the marketer’s job to shift spending from the latter to the former. Especially in online marketing, with such a massive potential global audience, it’s critical to spend money on what works. Website Optimization: The final piece of the SEO Marketing puzzle is website optimization, which consists of tweaking the actual content, title, headlines, and meta description on the website to facilitate that climb up the search engine rankings and generate more business. When it comes to online marketing services related to your website, clicks are money. A click takes a potential customer to a page on your website where the sales process begins in earnest. Albert Einstein is famous for many quotes, one of which was “Nothing happens until something moves.” The web marketer’s version is “Nothing happens until someone clicks.” Without a click, there is no chance to earn money, so the answer is clear. It is to your business’s great advantage to generate first page results through organic listings. 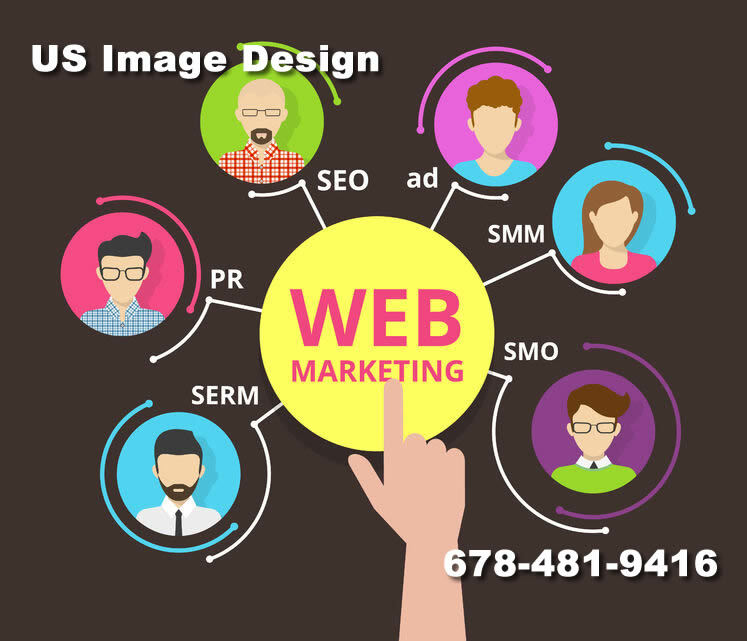 US Image Design – Web Marketing Service provides SEO, Social Media Marketing and Paid Traffic to Atlanta, Marietta, Conyers, Covington, Griffin, Marietta, Tucker and Surrounding Cities. While it’s likely that you could, as a business owner, become an expert on the major strategies related to marketing your product or service, the question becomes whether that is the best use of your time? Paying a web marketing firm should actually save you money as it hands back to you more time to invest in improving your product or service. It’s hard enough to stay ahead of competitors without having to keep abreast of the entire digital marketing field as well. 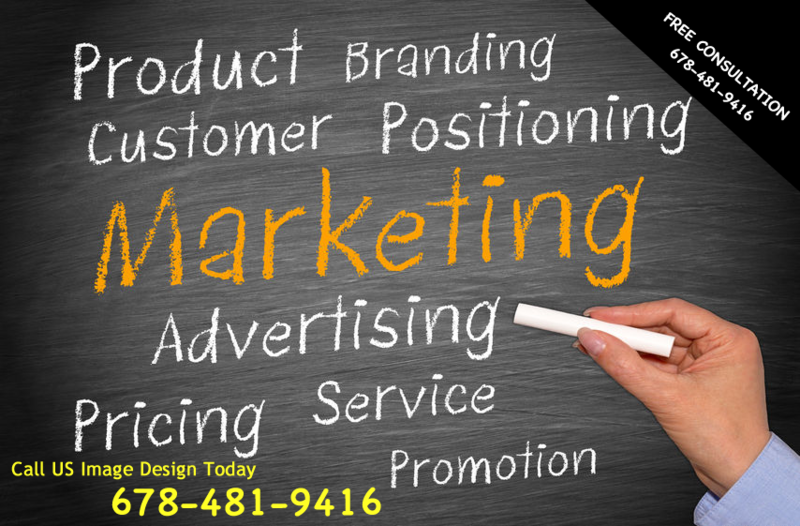 Call US Image Design TODAY 678-481-9416 – Web Marketing Company Serving Atlanta, Marietta, Conyers, Covington, Griffin, Marietta, Tucker and Surrounding Cities.